Facing threats from Russian artillery and integrated air defence systems, the US Army is developing four weapons designed to give US ground forces the edge in battle. A top priority is long-range artillery that can destroy fortified enemy positions from distances as far as 1,000 miles. The four weapons the Army hopes to begin fielding in the next few years include the long-range hypersonic weapon, the strategic long-range cannon, the Precision Strike Missile, and the Extended Range Cannon Artillery system. The US Army wants guns, big ones. The service is modernising for high-intensity combat against top adversaries, and one of the top priorities is long-range precision fires. The goal of the Long-Range Precision Fires team is to pursue range overmatch against peer and near-peer competitors, Col. John Rafferty, the team’s director of the LRPF who is part of the recently-established Army Futures Command, told reporters Wednesday at the Association of the United States Army conference in Washington, DC. The Army faces challenges from a variety of Russian weapons systems, such as the artillery, multiple rocket launcher systems, and integrated air defence networks. While the Army is preparing for combat against a wide variety of adversaries, Russia is characterised as a “pacing threat,” one which has, like China, invested heavily in standoff capabilities designed to keep the US military at arms length in a fight. “Our purpose is to penetrate and disintegrate enemy anti-access and area-denial (A2/AD) systems, which will enable us to maintain freedom of manoeuvrability as we exploit windows of opportunity,” he added. At the strategic fires level, the Army is developing a long-range hypersonic weapon and a strategic long-range cannon that could conceptually fire on targets over 1,000 miles away. The strategic long-range cannon is something that “has never been done before.” This weapon is expected to be big, so much so that Army officials describe it as “relocatable,” not mobile. Having apparently learned from the US Navy’s debacle with the Zumwalt-class destroyer whose projectiles are so expensive the Navy can’t pay for them, the Army is sensitive to the cost-to-kill ratio. At the operational level, the Precision Strike Missile features a lot more capability than the weapon it will ultimately replace, the ageing Army tactical missile system. And there is the technology out there to get the Army to this range. One of the most promising technologies, Rafferty introduced, is an air-breathing Ramjet projectile, although the Army could also go with a solid rocket motor. 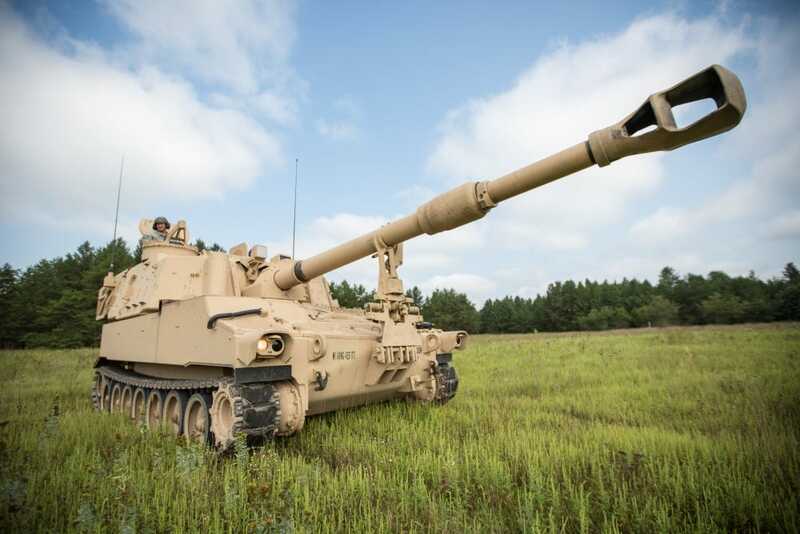 The Army has already doubled its range from the 30 km range of the M777 Howitzer to the 62 miles with the new ERCA system, Gen. John Murray, the first head of Army Futures Command, revealed earlier this week, pointing to the testing being done out at the Yuma proving grounds in Arizona.